I was unable to make this year’s Annual Meeting of the Association of American Geographers in New York on 24-28 February 2012, but that didn’t stop our ‘Highway to Heaven’ team from coming out with a co-authored paper. Claire Dwyer (University College, London) and I co-wrote a paper entitled ‘Planning for religious worship: the creation of the ‘Assembly District’ in Richmond, Vancouver.’ Claire presented this for the team in a paper session entitled ‘Religion, Society and Space: An Institutional Perspective‘ organized by Karen Morin (Bucknell University) and Lily Kong (National University of Singapore). In the multicultural suburb of Richmond, Vancouver the clustering of religious buildings along the Number 5 Road highway which marks the eastern boundary of the city has earned the colloquialism ‘Highway to Heaven’. However the agglomeration of more than twenty religious buildings including mosques, churches, religious schools, Buddhist, Hindu and Sikh temples within 3 kilometres is not accidental but the product of an unusual city planning designation which unites ‘Assembly Use’ with a long term plan to safeguard agricultural land and prevent urban sprawl. This paper examines the evolution of this planning policy and its role in the creation of a distinctive transnational suburban religious landscape. It explores how Richmond’s diaspora faith communities negotiate their relationships with the state and other civic institutions, such as Richmond Food Security, focusing particularly on their obligations to maintain the agricultural potential of the land. The paper also examines other intersections with civic institutions particularly, Richmond Tourism, in response to initiatives to market Number 5 Road as a tourist destination. As such the paper contributes to the wider issues raised by this session about the relationships between religion and space in the context of the state and civic institutions. The purpose of this session is to consider new directions in the geography of religion by focusing on the scale of the civic institution in understanding relationships and connections between people and their religious beliefs and practices. State and civic organizations such as schools, hospitals, the courts, prisons, businesses, government agencies, NGOs, museums, and the military, among others, are sites through which religious norms and practices are mediated, regulated, represented, facilitated, and contested. This session builds upon a substantial body of scholarly work on religion, identity, and space, going beyond it by offering new insights into the important role that state, civic, and social institutions and organizations play in contemporary religious life, in various regional locations. 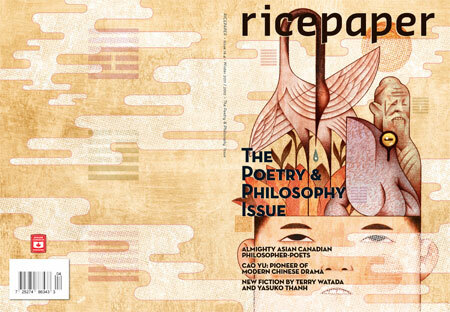 Papers explore different types of institutional spaces and the various ways in which they facilitate, control and otherwise mediate religious beliefs and practices. Mosques carry special importance for the localization of Islam in the West. Monumental mosque projects initiated by Western Muslims often make the headlines, the ‘Ground Zero Mosque’ project in New York and the DITIB’s Central Mosque in Cologne being two recent examples. Reactions of anxiety over the transformative effects of architecturally distinct mosque structures and their congregations on the cityscapes in Western countries link the image of mosques to radicalization and fundamentalism. This paper aims to go beyond the image of mosques as sites of absolute alterity and unbridgeable Otherness within-yet outside-the West to underscore the everyday uses and contested roles of mosques in the politics of belonging in the West. Based on multi-sited ethnographic research in the Netherlands and Turkey, I look at the transnational practices of Turkish-Dutch communities and the struggles over national belonging and citizenship in the Netherlands. I discuss the everyday production and multiple and intersected articulations of Muslimness, Europeanness, Dutchness and Turkishness through public rituals, education, entertainment and socialization at mosques. In so doing, I show the interrelations between the Turkish and Dutch religious fields and shed light on the universalist and particularist articulations of Islam to cosmopolitan and ethno-national belonging(s). Since the 1950s, there has been a dramatic growth in the Muslim population of the countries of Western Europe from almost negligible to about 13 millions in the early 2000s. Immigration came first in the north—Britain, France, Germany, Benelux—and then progressively into the south to countries which had previously supplied immigrants to the north. With the demographic change has come the growth of Islamic places of worship and important impacts on the European cultural landscape an impact which has not always been well received. In an early paper Peach and Gale (Geographical Review 2003, 93:4) tracked the growth of mosques in Britain, analyzing the difficulties that they faced in gaining planning permission to construct building with differed from the local vernaculars. We traced a three stage evolution of British attitudes over time: (1) Denial; you can’t have it if it looks like a mosque (2), Hiding: you can have it as long as it is somewhere where people can’t see it. (3) Celebration: you can have it and it can have dome and minarets, and it can be in a prominent position. The present paper seeks to establish whether the three stages relate not only to change over time in Britain but to the stance of different countries with regard to mosques as one moves south through Western Europe. Are the Spanish in denial? For more information about sessions sponsored by GORABS, see the newsletter that I put together as secretary for the group. 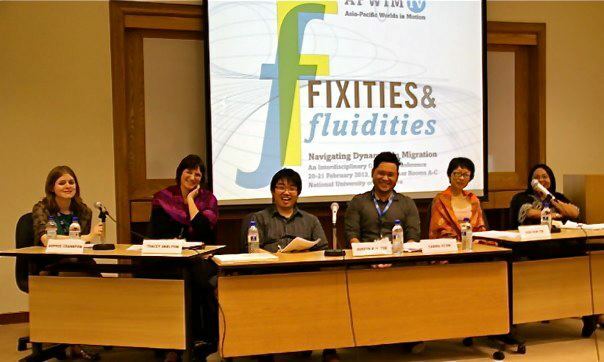 I was recently at the National University of Singapore’s (NUS) 2012 conference, Asia-Pacific Worlds in Motion IV: Fluidities and Fixities. This is a conference jointly organized by UBC and NUS students working in migration studies. There was a stellar lineup of keynote speakers, which include Adrian Bailey (Hong Kong Baptist University/Leeds University), Elspeth Graham (University of St. Andrews), Rhacel Salazar Parreñas (University of Southern California), and Dan Hiebert (UBC). Studies of transnationality in the Asia-Pacific region have recently focused on migration through a given social field over the lifecourse, some nodes centred on education, others on work (Waters 2002; Ley and Kobayashi 2005; Preston et al 2006; Waters 2006; Ley 2010; Lin 2011). While such approaches rightly highlight these migrants’ ties to their places of origin, they seldom explore their commitments to their new destination nation-states. Using qualitative data collected from 40 key informant interviews and four focus groups in Metro Vancouver, this paper demonstrates that one particular, influential migrant group in Vancouver—migrants from Hong Kong who are of evangelical Christian faith—are in fact more committed to Canada than Hong Kong. However, their involvement in Canadian civil society, far from celebrating Canada’s multicultural policy, has sought to challenge multiculturalism on the grounds that their rights of religious freedoms and parental choices in their children’s education have been overshadowed by agendas concerning gender and sexuality. Such political voices have included journalistic postings in English- and Chinese-language media in Vancouver, activist organisations, and the success of Cantonese-speaking evangelical Christian candidates for the Conservative Party in federal elections. Given such a wide range of political participation, I argue that the social conservatism of Hongkonger evangelicals, while contextualised by a transnational social field, signifies an attempted integration into Canadian civil society by challenging the state’s multicultural policy. This paper advances discussions of fixities and fluidities in Asia-Pacific migrations by outlining the development of a socio-political agenda by transnational migrants for their destination countries, not only their places of origin. For more information about the conference, please see the Asia-Pacific Worlds in Motion website. We hope to have the fifth installment at UBC Vancouver. Greetings from Hong Kong! I have been here since 22 February and will be here until April 17 doing field work for my PhD on Cantonese-speaking Christians, their conceptions of civil society, and their concrete networks and political practices. I am interested in speaking with pastors, Christian organization leaders, and politicians. I am also interested in gathering focus groups from the Christian laity. If you would like to speak with me, or know of any people with whom I should speak, please contact me at jkhtse@interchange.ubc.ca.